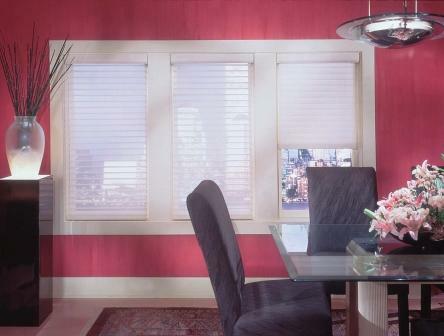 SAVE 35% ON OUR BRAND HORIZONTAL SHEER SHADES! Comfort Blinds Horizontal Sheer Shades, also known as window shadings, are made with two sheer fabric facings over soft fabric horizontal vanes. Our window shadings combine the elegance and unique look of a soft sheer shade allowing the light to gently filter into the room, with the functionality of a horizontal blind that offers complete privacy and light control. A single continuous cord loop control will tilt the vanes open or closed and when the shade is raised, it disappears neatly inside the color coordinated headrail. Cordless Lift and Retractable Cord are lift options.